Advanced Micro Devices has opened the door to embrace Google's Android operating system, but said it would continue to focus on Windows with its upcoming tablet and laptop chips. AMD on multiple occasions has said it had no interest in putting its chips in Android tablets and would focus exclusively on Windows 8. A change of heart could open up a wider market for tablets for the company. For now, the company's focus remains on optimizing chips for usage on Windows laptops, desktops and tablets, said Kevin Lansing, director of the notebook product line at AMD's client business unit. In an email, however, AMD spokesman Gary Silcott said OS adoption depends on device makers. "Windows is it for right now. 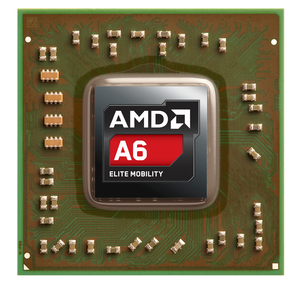 Nothing about our architecture precludes Android operation if AMD or a third party decided to pursue it," Silcott said. The tablet market is currently ruled by Apple's iOS, followed by Android. Windows 8 adoption on tablets and smartphones has been weak. 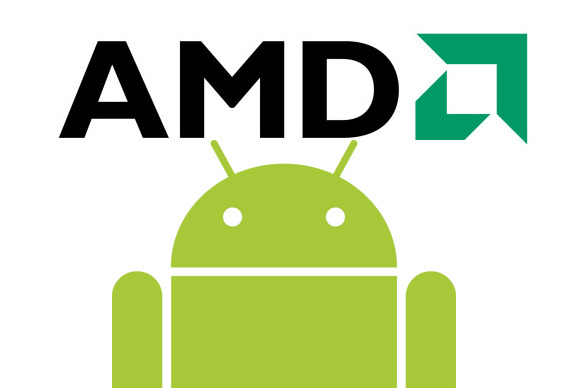 Android support could open up a potentially larger market for AMD, whose chips are used in just a handful of tablets. AMD to date has released two chips for Windows tablets over the past two years, both of which have failed. AMD on Thursday also shared more details about its upcoming Temash tablet chips, and will be showing off devices with the latest processors at the Computex trade show early next month. AMD is competing against ARM, whose processors are used in most tablets, and Intel, which later this year will be releasing new chips code-named Bay Trail for tablets running Android and Intel. ARM and Intel already support Android 4.2, while independent efforts are under way to bring Android to the handful of AMD tablets. AMD has signed an ARM license, and is building chips based on the architecture for servers. Android is used in most low-cost tablets with small screens, which are gaining preference over the larger-screen devices. Intel is chasing the low-cost tablet market and has said Android tablets priced between $200 and $399 with Bay Trail could be available by the end of the year. However, AMD has shown no interest in low-cost tablets, and with 64-bit support, the Temash chip for now is optimized for high-performance tablets and low-end laptops. It can offer a full Windows 8 tablet and desktop experience, which is an edge over competing chips that are optimized for specific tablet or PC usage. For example, Intel's current Clover Trail chip, designed for tablets, is 32-bit and may not run specific desktop applications that are 64-bit. AMD's Lansing said its Temash chips hold an advantage in graphics, which are becoming more important with online video streaming and gaming. AMD's core strength is in graphics, and its chips have been adopted by Sony for PlayStation and by Microsoft for the next Xbox. In a comparison list, AMD said Temash also has support for DirectX 11, Windows 7 and USB 3.0 ports, which are not offered on Intel's Clover Trail. However, that is expected to change with Bay Trail, which will support DirectX 11 and USB 3.0. The Bay Trail chip will be able to provide an equally capable desktop and tablet experience on Windows 8. The Temash lineup includes two dual-core A4 chips and one quad-core A6 chip. Tablets running on the quad-core will deliver up to eight hours of battery life during Web browsing, and around five hours of battery life when watching 1080p high-definition video on YouTube. The A4-1200 chip draws 3.9 watts of power, and the A4-1250 draws 9 watts of power. Both chips run at 1GHz and have 1MB of cache. The quad-core A6-1450 runs at a maximum clock speed of 1.4GHz, draws 8 watts of power, and has a Radeon HD 8250 graphics processor with a maximum clock speed of 400MHz. AMD has already been working with various ARM processor vendors through the Heterogeneous System Architecture (HSA) Foundation to unify multiple processing resources in servers, PCs and mobile devices. The organization's goal is to develop an open hardware interface specification so tasks can be offloaded to the appropriate hardware resource, which will bring portability of applications across architectures and devices.